No electricity = no tweets? No way! Maybe you are in a hurricane's path. Or maybe you just forgot to pay your bill. The fact is: many factors can leave you without electricity. And with no power, chances are you are going to lose your internet access too! But that does not mean you'll have to stay completely away from social networks. Twitter and Facebook still let you post from you phone! Like that, you can let your family and friends know you're OK, ask them for help or just let the world know you are afraid of the dark. For Twitter you need to enable your mobile phone in your account on Twitter.com (and for that you do need electricity). Go to "Settings" then "Mobile". Insert your cellphone number under “Activate Twitter text messaging,” and then you’ll have to text “GO” to the number 40404. That should activate the service. New settings on the webpage allow you to control text notifications. For Facebook you also have to enable the service while you can! Log in your Facebook and go to "Account Settings". Go to "Mobile", put your number and click on "Activate Text Messaging". Follow the instructions and text the letter "F" to 32665. A confirmation text will give you a number you have to insert on the page. After that, the activation of the phone will be confirmed by another text. To update your status, write a text and send it to 32665. And at least remember to pay your phone bill! Forrester Research has published a new report called Smart Body, Smart World according to which wearable gadgets are the next tech revolution. Those new gadgets are the sensor-packed "wearables" like the Nike+ Fuelband. First of all, the gadgets must be wearable in order to be successful. Than you must wish to wear it all the time even if has no real function. It is on your skin, is comfortable, therefore the sensuousness of the design is crucial. And by this way it helps you to express yourself , the gadget will tell something about you. "The ultimate question for businesses, though, is “how does this affect me?” What if your speciality isn’t in human kinetic movements? The report actually sees insurance of all things as one of the industries most susceptible to wearable disruption, enabling consumers to negotiate better rates by submitting data-rich proof of their active lifestyles." 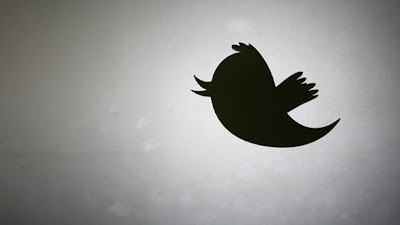 Social Media Today studied the activity of major brands on Twitter to determine the effect of increasing Tweet frequency on response levels via Retweets. They started by looking at Retweets per Tweet, as increasing numbers of Tweets are made per day. For each Tweet Frequency they looked at the percentage of the Retweets per Tweet compared to when a brand only tweets once in a day. As we already imagined, Low Tweet Frequency may be ineffective. When a brand tweets 2-5 times per day they get more Retweets per Tweet, by up to 300%, compared to when they Tweet only once a day. Twitter is a high volume channel, and unless you Tweet enough to get noticed you may be wasting your effort. But before spending all your day tweeting, 657 tweets a day, calm down. After 5 Tweets per day they saw a drop-off in the response per tweet, suggesting possible diminishing returns beyond this. Response per Tweet is important to consider because it impacts engagement levels, the visibility of tweets, and brand perception. However it is not the whole story. It is the Response per Day, rather than per Tweet, that represents the total amount of interaction a brand is having with its consumers, and is representative of the total amount of touch-points they have to get across their marketing message. So, despite the Retweets per Tweet falling, as brands tweet more, the total number of Retweets only continues to increase. A little confusing, no? To read more about this study and see how you can take the best out of your tweets go here. And you? How many tweets a day to you tweet and how many do you believe its enough? 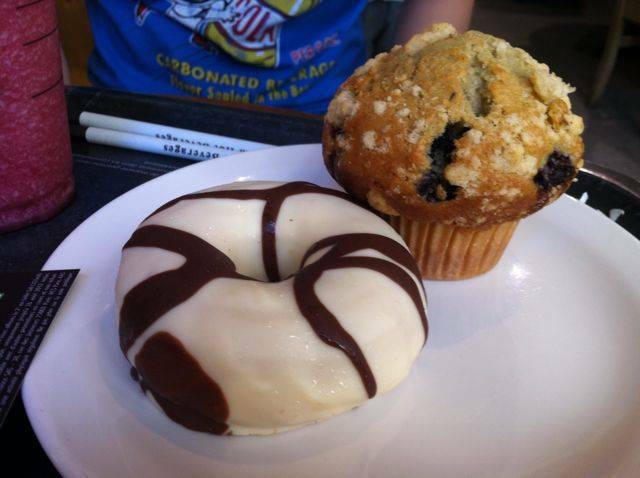 Today we went to a traditional Starbucks in Saint-Lazare because we craved for muffins and donuts!! Social Bakers provides us with statistics from all the social media platforms in various categories; you should definitely have a look at it, it’s really well organized, quite complete and easy to search inside! Flipboard, Your Social Magazine, is a mobile application that some of us already know and use; interesting platform, where you can organize the content you want to receive, and it's easy to share any information from the app to your own social networks profiles! // Google currents is a similar mobile application - meaning you take your feeds everywhere with you! Veooz is useful for people wanting to know about trendy words. It could be seen as a competitor of Google Trends but the difference is that the content in Veooz directly comes from social media and networks. 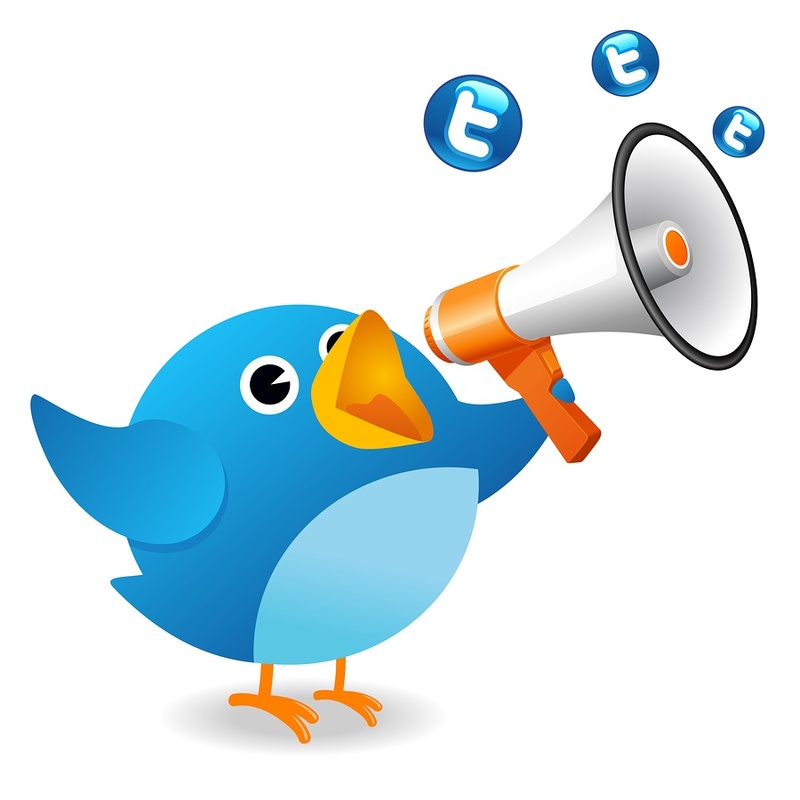 Click to tweet is a tool that I have been using for several days, it's really easy and fast! Just write your message in the big box on the main page, generate the link and send it, share it as much as you want, and when people click on it, they can directly tweet out what you wrote! Pay with a tweet is also a really interesting twitter derivative - brands can increase their visibility by giving documents away (songs, pictures, factsheets for hotels for example, etc.) if people just tweet that this brand enabled them to get this item for free! I'll try to embed it on my blog next time, stay tuned! Shift: kind of internal network for companies – we’ll have a closer look at it, but if you have already tried it, please let us know how you feel about this platform! Related to this topic, here is an article about the Top 10 Social Entreprises Tools. This article provides information about the use of the Facebook Want button: it says that when the want button was first thought of, the final goal was that people would buy what they “wanted”. But it’s actually not working like this – kind of The Fancy, you can fancy or want things, but people usually don’t buy it. And you, would you actually buy something that you "Want" on Facebook, or would you just "Want" it to build nice visual collections on your timeline? In short: a great sunny day with the view on the beautiful Concorde Opera Paris and Saint-Lazare train station! Stay tuned for next week wifiwork session! Google Consumer Barometer measures online and offline consumer behavior during their purchase process. The Consumer Barometer is the perfect solution to develop effective maketing strategies and optimize revenue. Why do we fail ?? When most people set goals, they envision a certain amount of money, an object (a new car), or a specific achievement . Unfortunately they miss the point that what you're actually seeking in life and work is the POSITIVE EMOTIONS that you believe those things will produce. TO DO: Envision your goal with all the strength in your imagination such how you will feel when you achieve the goal. In that way, you'll be inspired to do whatever it takes to achieve that goal. If you're afraid of failing, you won't take the necessary risks required to achieve your goal. TO DO: Think about failure as something temporary. If things don't go the way you'd like, it's only a setback that, at most, delays your eventual success. This kind of fear is even more debilitating than the fear of failure. Imagine you have achieved your goal, like enormous wealth. What if it didn't make you happy? What if you ended up losing all ? Such thoughts are dangerous! TO DO: Decide that you're going to be happy in the future, no matter what happens. Most people overestimate what they can do in a week, in a year. The inability to get all the short-term steps accomplished creates discouragement and therefore we have the feeling that the final goal is slipping away. TO DO: List the activities, steps required to achieve your goal BUT schedule only the 20% of the activities that will produce 80% of your results. Furthermore set ambitious long-term timetables. We can easily get discouraged when we arrive to the point when nothing we feel that nothing helps us to get towards the goal. For example, suppose you're trying to learn a language. You make swift progress in the beginning but then, it seems you get stuck and no more progress anymore. This is called "dry spot"period and often people use it as an excuse to give up and therefore fail. TO DO: Whenever you reach the dry spot period, it's time to celebrate rather than give up. Dry spot is a sign that you're on the brink of a major breakthrough; You just have to be more patient in order you achieve your goal. Content Marketing - Are you part of the 38%? Yes, only 38% of companies have a content marketing strategy. And yes, that came as a shock for us too! Econsultancy, the London-based community of digital marketing and ecommerce professionals, recently produced their first ever Content Marketing Report. The report is based on a survey of more than 1.300 digital marketing professionals. The upside to this survey is taht 90% of those surveyed believe content marketing will become more important over the next twelve months. Content Marketing is creating and distributing relevant and valuable content to attract, acquire, and engage a clearly defined and undestood current and potential consumer bases with the objective of driving profitable customer action. Content marketing subscribes to the notion that delivering information to prospects and customers drives profitable consumer acyion. Content marketing has benefits in terms of retaining reader attention and improving brand loyalty. In easier words, is CREATE AND PUBLIC ORIGINAL CONTENT TO ENGAGE CUSTOMERS AND ENHANCE THE BRAND'S VISIBILITY. 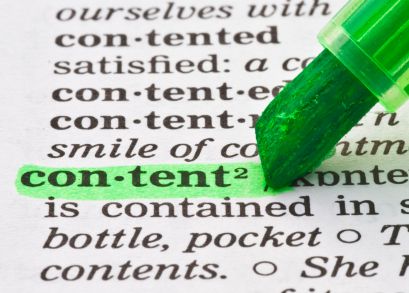 Why is it important to have a Content Marketing strategy? Recent studies show buyers are spending an increasing percentage of time researching and collating informations before buying. A succesful content marketing strategy will catch the attention of the customer, engage interest and result on profit. And let's face it, that is the reason we get out of our beds in the morning. Part of the 62%? Don't panic! 1 - Determine your content marketing goals. What business objectives do you want your content marketing to achieve? 2 - Understand your target audience. Create marketing persona for your main market segments. Don;t overlook development of their social media persona in terms of how they act on social media networks. 3 - Select content topics. 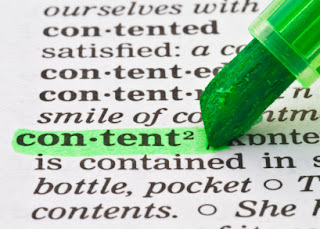 Assess your exinting content within your organization. Then collect stories across your company, employess and customers and gather prospects and customers have, Lastly, determine what information is needed and where there are holes in your offering. 4 - Build your content creation team. Encourage people across your organization to contribute to the development process. Then determine where you need additional support. 5 - Create an editorial calendar. Sequence your content across platforms and creators. Of course this is the ideal scenario with a few people working on it, but as we all know, many companies don't have the size, money or even interest in having all this people. But if you have some multi-tasking skills we believe it can be a one man job! As technology leaps forward, there are more lifestyle applications and some of them will certainly save you time, Be updated, get inspiration, and make the most out of your closet! Import your actual clothes, create magazine-style outfits, plan what to wear and track your style with this customizable app! There are over 90 features to help you get the most out of your closet! You can follow your friends, favourite influencers, celebritiess, and browse through thousands of outfits and styles. Get free access to today’s best labels and experiences at up to 60 percent off. Shop styles for women, men, children, home, as well as for local deals and travel. Members enjoy mobile-exclusive sales, daily deals and special offers. Pheed: are you gonna sign up? Guess what we just discovered this morning? P-H-E-E-D... ever heard about it? If yes, feel free to leave your comments, we can't wait to discover what you feel about this new social network! Their baseline "Express Yourself", as well as the picture with the man with tattoos really made me feel as if we could share anything on this platform! Is that true? Well we'll have to wait a bit, because this is pretty new (only launched on August 10), and it already reached 350 000 unique visitors! Everyone agrees on the fact that Pheed is a "Twitter, with a business plan". So, basically, what can Pheeders do? Subscribers can chose to share their content for free, or for a premium price (from 1.99$ to 34.99$ per content, or per month). Let's have a look at Miley Cyrus' s profile, because she was one the first to sign up for this tool. On the profile we have the possibility to do everything that we are able to on other platforms: customizing background, search for other people (using @ and #), we have access to the bio of the user, number of subscribers (=followers), etc. text, photo, video, audio, voice notes and you can even include live-broadcasting! 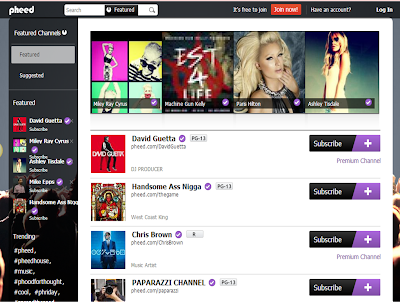 If we click on Featured, we land on a kind of home page where we can see who has already subscribed, and if their channel is free or not (premium for David Guetta). The PG-13 means that "the content on this Pheed channel may be inappropriate for children under 13"; the R for Chris Brown means that "the content on this Pheed channel may be inappropriate for children under 17". Then we can wonder, what does differentiate Pheed from other social networks, and how will it gain subscribers? We understood that the aim of this social media is to "monetize content"; we can then assume that content will have a better quality if content-producers make us charge for it. For the moment, subscribers are mainly DJs, music producers, singers, etc. who want to share their compositions, and be recognized for it by making followers pay for it. Well, how do you feel about it? Explore this presentation and start DOING BUSINESS on internet! A wonderful article in Sunday's New York Times, by @AnnMahNet, captures the essence of the art of artisanship. In France, recognition of specialists' savoir-faire is public as individuals are awarded title of Un des Meilleurs Ouvriers de France, by the Ministry of Labor. 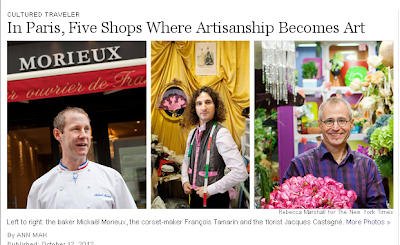 The title is a source of pride as well as a responsibility to assure continuance of tradtional metiers. The same hold true for Social Media making communication + interactions meaningful is art of transformation. When so many of the key ingredients are free/inexpensive (Twitter, Facebook, Google +, etc. ), the transformation savoir-faire can get lost. A few days ago, I have been surfing Airbnb's website to look at the types of accommodation they were offering. I ended spending the entire evening on Airbnb.com because I was impressed by their efforts in optimizing the web user experience. Knowing who drew its inspiration from whom does not matter, what really matters is the result !These features on Airbnb provide web users with a fully optimized online experience because they make its products and services unique. I therefore highly encourage independent hotels and serviced apartments companies to take Airbnb as an example, because they have understood how important it is to search what users really need, desire and expect... And provide them with better products and services than they expect. For those companies that have an impeccable Linkedln, dream of every employee, but treat Facebook as a secondary carefree social media, watch out! Linkedln may be the social network of choice for the professional world, but more job seekers are hunting for work on Facebook, according to a new survey. 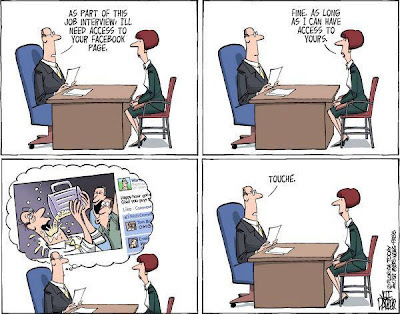 One in five respondents said they had been sent a lead on a new job via Facebook. Hotel company Shangri-La is looking to increase user engagement with an Instagram contest called Loving the Moment that allows consumers to vote for their favorite image. “A luxury brand like Shangri-La uses lifestyle images to inspire its audience and build its equity as an aspirational brand,” said Evan Nicholson, senior account manager at 5th Finger, San Francisco. Consumers must first download the Instagram iPhone or Android application. Users are encouraged to take a picture of scenery or a moment in their lives that they love. Consumers can then select a filter and use the hashtag #LovingtheMoment. 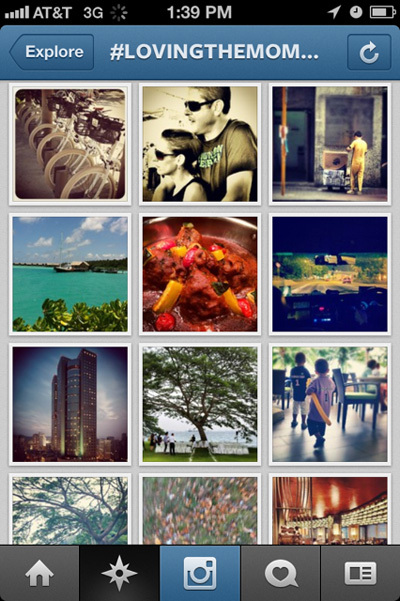 On the Shangri-La Instagram site at http://instagram.shangri-la.com, consumers can vote for their favorite image and share via Twitter, Facebook and Sina Weibo. With continous growth in smartphone and tablet ownership, mobile search is becoming a hot topic for brands. Businesses must develop local search and mobile SEO strategies. They also must be more reactive to evolving SEO best practice. Appearing on the first page is more crucial than ever. Screen sizes of mobile devices can be up to 80 percent smaller than a desktop computer, meaning it is more important than ever to appear on the first page of search results. "It's crucial for businesses to be reactive to changes in mobile search and adopt evolving best practice as early as possible to maximize visibility on these devices. Ignoring the needs of those searching via mobile — whether at home or on the move — could mean missing out on a grand scale; users searching for local information with a mobile device often take part in further activity, including making on and offline visits to a researched business." It is necessary for businesses to develop a mobile-friendly web presence that incorporates a mobile content strategy and tailored keywords to mobile users. 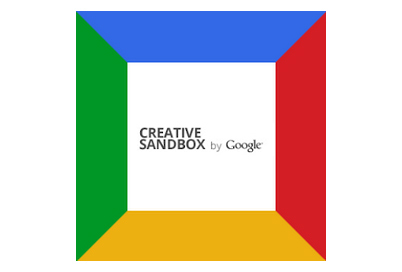 H/T to Tnooz for sharing the visual case studies on Creative Sandbox by Google. Intended to showcase Ad Agencies campaigns, the Creative Sandbox is a super source of promo ideas for marketers. The shareability of the ideas is excellent with print, visit, +1, link options. While not every business will have the budget for extensive + dynamically integrated campaigns, the access to imaginative ideas is priceless. Visit the Creative Sandbox site + enjoy! When sleeping at Ibis hotels becomes a real guest experience. Ibis Hotels combined Art and Sleep through the use of a Robot. According to guests' movements, sounds and temperature during the night, the robot reproduces these data on a canvas with layering paint of different colours. Explore what we discovered further to our recent wifiwork session! Yesterday, we were so thrilled to hold our weekly wifiwork session at La Mutinerie - coworking space in Paris; when people entered the place, they were all smiling and greeting each other - seems like a big family! You can have a coffee, organize a small meeting with collaborators, or sit at the ping-pong table and start working on your own! Their motto, "Libres Ensemble", really defines the general atmosphere of the place - everybody is free to work on whatever they want, but they can also share and do this together! & travel and tourism industry advocators and curators, you will definitely want to be part of this experience! Tumblr now recruits T&T evangelists to be part of their Strategic Outreach Team in NYC! Don't wait anymore! Silp - Your dream job will find you: in few words, you add the app to your Facebook profile + add some skills (webdesign, Photoshop, restoration management, etc.) + add your friends (the more friends enter the app, the bigger will become your network, and the greater the chances your dream job finds you!) + WAIT for one of your friends' relatives finds interest in your profile and contact you for any job offers that could match your skills! Rest'Oh - the new Yellow Pages mobile app: a real gastronomic guide, that seems to be more complete that La Fourchette or Marmiton Resto according to this article. The app helps you finding the nearest restaurant + you can invite your friends and ask them for their preferences (even if they don't have an iPhone) + it calculates the total price per person if you plan to share the final bill! Unlike La Fourchette, this app does not offer discount on menus. Calibag - personalize your suitcase: when discovering this website, we directly thought about hoteliers who could develop their own suitcases with their logo or specific picture, and offering it to loyal guests, partners, etc... Free advertising on the luggage conveying system in airports all around the world! Piccing - a Pinterest like platform- drag the Picc item on your search bar, and start browsing the web; as soon as you find something worth of interest, just click on the Picc item and add it to your Piccboard (sounds familiar huh?). This platform defines itself as the "perfect place to exchange inspiration and meet new friends who share your style". If you already are a Piccing user, please leave your impressions! Google Maps API - more than a map: start adding your own code and building your own Google map! Hoteliers could definitely use it to see what their guests like in the hotel's neighbourhood for example. Just before leaving the house to join the team, I received an email introducing Linked In Today - a scoop.it collaboration to offer Linked In users with fresh news; we can even select specific topics such as politics, marketing, technology, etc. I really hope you enjoyed this discoveries! Please do not hesitate to add any comment or request about the new platforms that we just talked about! Dream It Alive or Not?